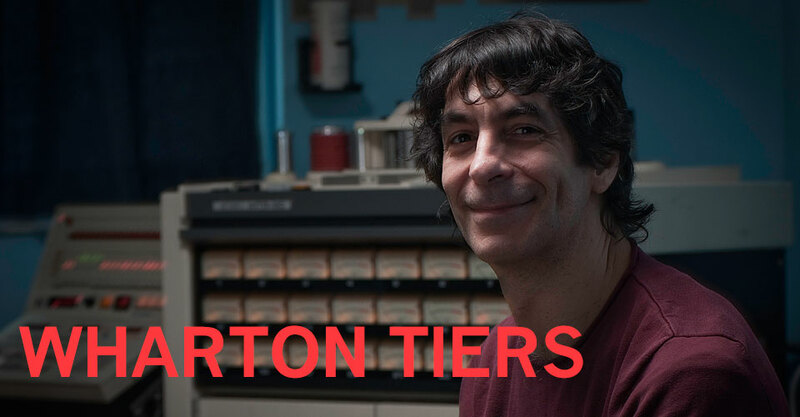 Wharton Tiers was born in Philadelphia in birth year of the Stratocaster. He graduated from Villanova University and moved to NYC in 1976. He played drums and percussion with many downtown bands including Theoretical Girls and Laurie Anderson. He also worked independently with many of New York’s then up and coming stars, including Eric Bogosian, Ann Magnuson, and Whoopi Goldberg. In addition, Wharton started two groups which played his own compositions, A Band, which disbanded in 1980, and Glorious Strangers, which released a self-titled LP in 1984. Since then Wharton has continued to compose and write many different styles of music, including solo piano, synth based instrumentals, opera, and symphonic works. A CD of instrumentals for massed guitars by the Wharton Tiers Ensemble, Brighter Than Life, came out in April of 1996, and the follow-up, Twilight Of The Computer Age, was released at the end of 1999. A new Ensemble LP, Freedom Now!, was released in March 2013 on Fun City NYC, a new record label founded by Tiers to release his music. 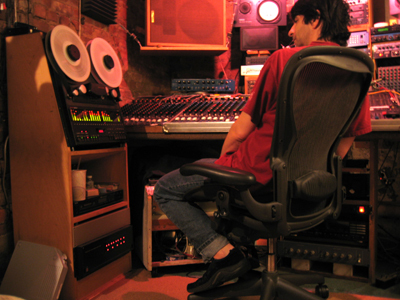 In 1982 Wharton started Fun City Studios and began recording many of New York’s experimental and alternative groups including Sonic Youth, White Zombie, Swans, Dinosaur Jr., Lunachicks and Glenn Branca, as well as commercials (the series of Priceline.com ads featuring William Shatner!) and film scores (Judgement Night, gold record 1994). To date he has produced and recorded over 200 LPs and CDs, including Helmet’s Meantime, for which he received a gold record in 1993.